William “Bill” Kasuga, co-founder and former chairman of the board of Kenwood USA, passed away on July 5. He was 98. Kasuga started the company in 1961 with George Aratani and Yoichi Nakase as a distribution company for Trio, a Japanese electronics manufacturer. It was Kasuga who came up with the Kenwood name that was eventually adopted for use worldwide. Under his leadership, Kenwood has grown into a global brand with annual sales of more than $700 million. In 2011, Kenwood merged with JVC to form the JVCKenwood Group. “Somehow I liked ‘ken’ and ‘wood,’ so I combined those two words and made it Kenwood. That became our brand name and we started making Kenwood brand products in Japan instead of Trio,” Kasuga recalled in a 2003 interview with The Rafu Shimpo. In 1993, Kasuga was appointed chairman of the board of Kenwood USA, the Japanese company’s largest division. He resigned as chairman in 2005, but continued to serve as an advisor to the president for several years after. 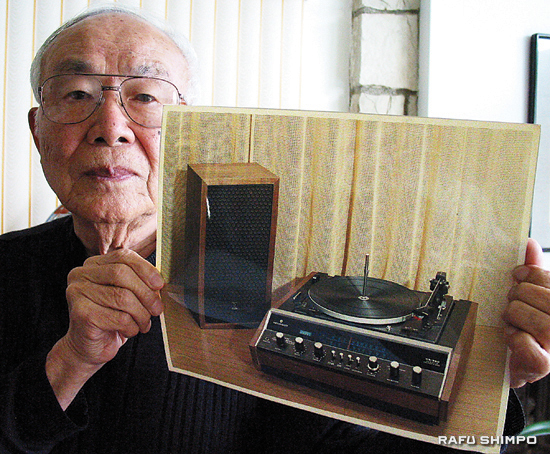 Kasuga fondly recalled the company’s humble beginnings when he would travel to small towns around the U.S. selling record turntables and speakers. He relied on his reputation for honesty at a time when Japanese electronics were considered by many to be cheap and poorly made. Born in San Francisco in 1919, Kasuga grew up in Nagano Prefecture before returning to California in 1933. An internee at Poston, Ariz. during World War II, Kasuga worked as a civilian instructor of Japanese at the Army Intelligence School in Camp Savage, Minn. and later in Monterey when the school moved. After the war, Kasuga married his wife, Sadaye, and the couple moved to New York, where he worked as a sales manager for A&A Trading Corp., an importer of Japanese audio equipment for Radio Shack. During a meeting with Trio executives from Japan, Kasuga convinced them to start selling audio equipment under their own name, with Kasuga as the distributor. In 2001, Kasuga was inducted into the Consumer Electronics Hall of Fame for his role as a pioneer in electronics. A longtime resident of Palos Verdes, he and his wife moved to San Mateo in recent years to be closer to their children. 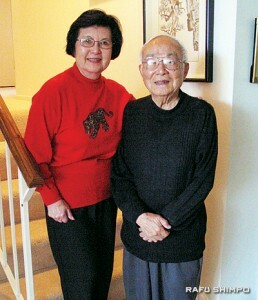 He was also an active philanthropist in the Japanese American community, supporting the Asia America Symphony Association and serving on the Japan America Society of Southern California board of directors. In addition to his wife, Kasuga is survived by two children. Private funeral services will be held for family.